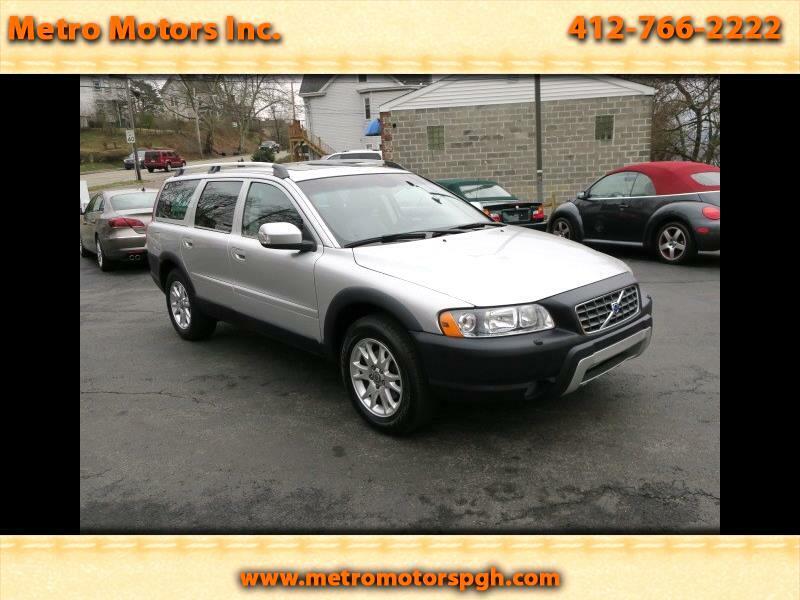 Pristine 2007 Volvo XC 70 Cross Country Wagon ALL WHEEL DRIVE. This Garage kept Beauty has been Extremely well maintained at the Volvo Dealer. Recent Major Service includes Timing Belt Service, ABS Module Replaced, Brakes, Oil Service, Transmission Service, Inspection, Smog Tested, and Needs Nothing!! Finished in Sterling Silver Metallic, Black Leather Interior. Heated, Power, memory Seats. Power Glass Moon Roof. Roof Rack. Dual Zone Climate Controls, Leather Tilt & Telescopic Steering Wheel. Rear Built In Pop Up Child's Booster Seat. Parktronic Parking Assist. Premium Sound w/CD. Privacy Glass Tint. Home Link Garage Door Buttons. Power Spray Headlight Washers. Rain Sensor Wipers. All Original Books, Manuals, Key Fobs. Clean Auto Check History Report Show NO ACCIDENTS OR ISSUES!! This is the last year of the really great Volvo XC70 before they changed everything!! You won;t find a Nicer, Better Maintained XC 70 Cross Country Sport Wagon! !